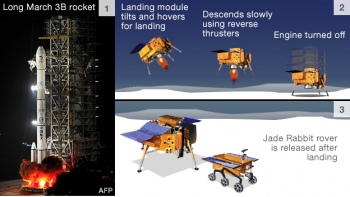 The chief commander of China's lunar programme says the mission's been a complete success. 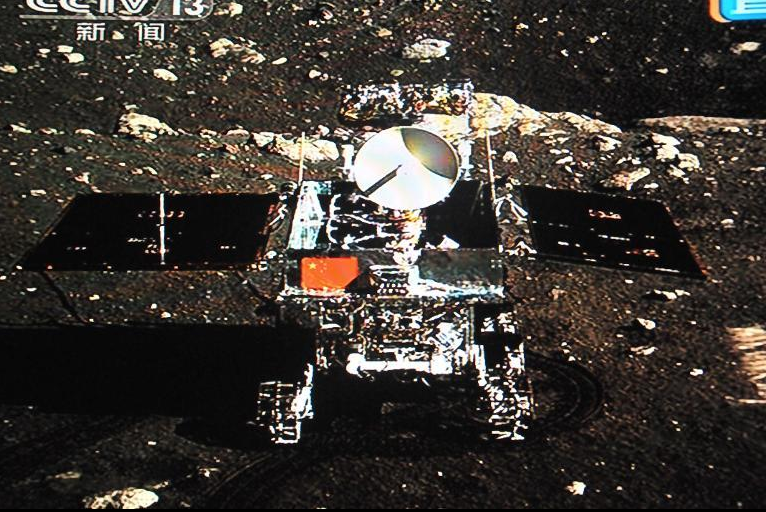 China's Jade Rabbit moon rover has landed, and its mission so far has been a "complete success," says Ma Xingrui, chief commander of China's lunar programme. 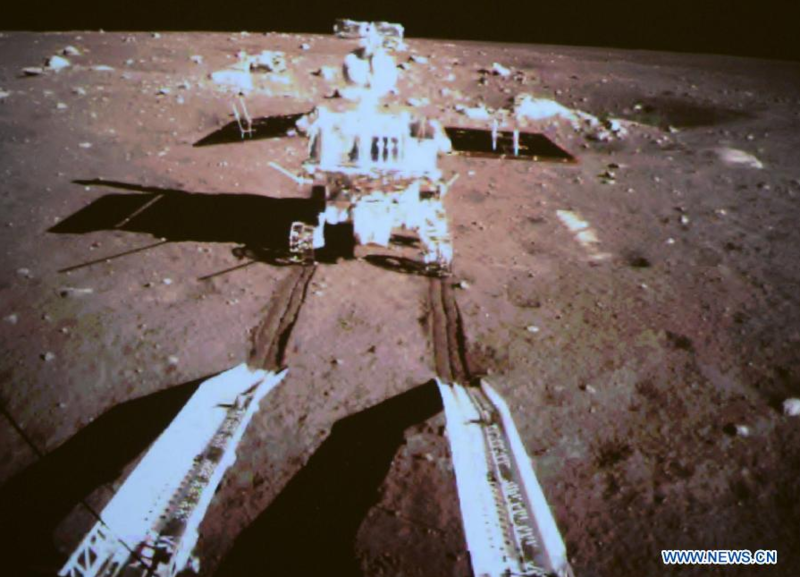 This is the first unmanned rover to touch down on the moon in more than 40 years, and photographs of the historic moment have been released by China's Xinhua news network. The Rabbit's named after a mythological creature, said to be living on the moon. In some legends it's depicted as the companion of immortal girl Chang-o, eternally grinding up the ingredients for the elixir of life in its mortar and pestle. The name was chosen in an online poll of more than 3.4 million voters. The mission is meant to test new technologies, gather data and build up space mission experience, with a happy sideline in searching for exploitable resources. 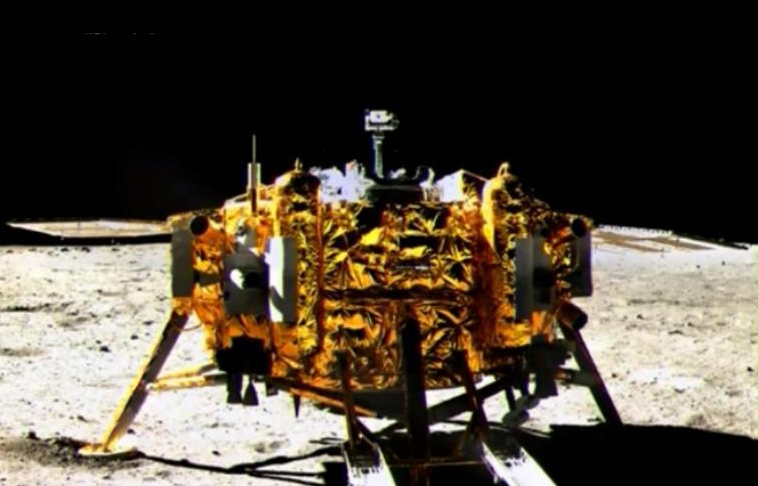 As engineer Sun Huixian puts it, "China's lunar programme is an important component of mankind's activities to explore [the] peaceful use of space." It's not about competition, as the original space race was; it's about future development. China wants an advanced space programme, and it's willing to put the time and resources in to get one. It will take years, but China sees no need to rush. Perhaps in 2017 it will bring soil and rock samples back to Earth; perhaps in 2020 or so it will send a manned mission. 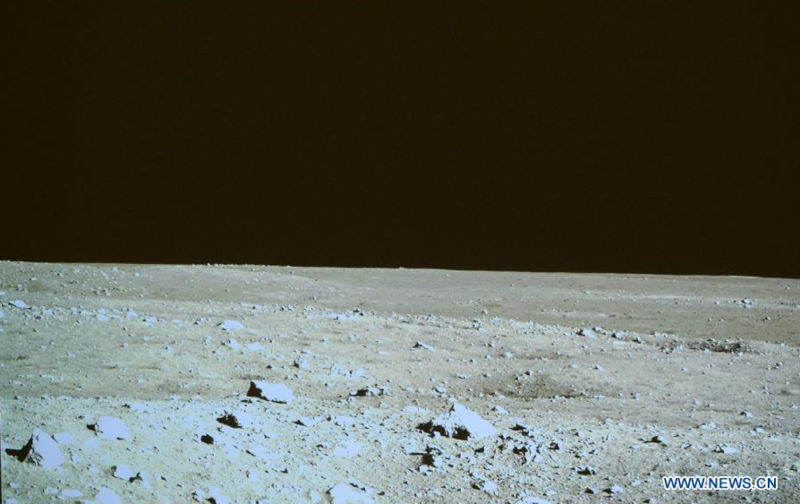 In time, perhaps something more, as China reaches for the moon, and the stars beyond.